Dec 12, 2014. 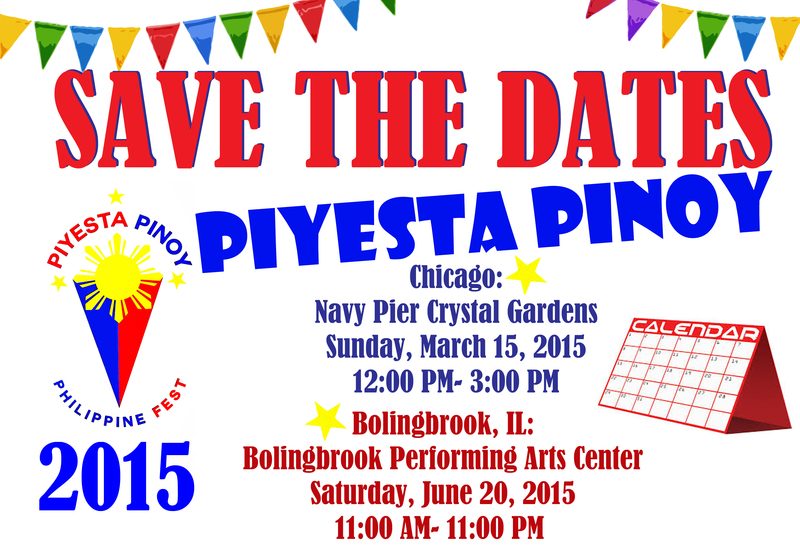 – We are so happy to announce that two of the biggest Filipino American events in the Chicago area will both be back next year – the Piyesta Pinoy in Chicago will be indoors during spring time while the Piyesta Pinoy in Bolingbrook will be outdoors during summer time in Bolingbrook Once again, both events will be coordinated by the Philippine American Cultural Foundation in partnership with the Philippine Consulate General in Chicago. 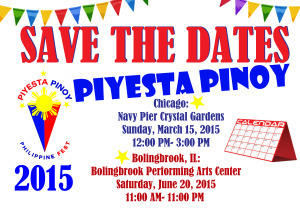 Save the Date in the spring – Sunday, March 15, 2015 for the Philippine Celebration (Piyesta Pinoy sa Chicago) as part of the Neighborhoods of the World series Sundays February 8 to March 29, 2015 at Navy Pier’s Crystal Gardens. Chicago is famous for its ethnic neighborhoods – and Navy Pier is proud to honor the city’s Filipino community with this cultural celebration for all ages. Join us for a lively afternoon of music, dance, colorful costumes, food and local vendors selling folk arts. 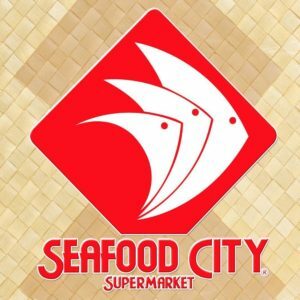 The Filipino community is so glad to have been invited to participate for the 4th year in a row in this wonderful opportunity to showcase our culture and to share them with the people of Chicago as well as the guests and visitors that go to the Navy Pier, one of Chicago’s most visited tourist attractions. Save the Date in the summer – Saturday, June 20, 2015 for the Philippine Fest Celebration (Piyesta Pinoy sa Bolingbrook) at the beautiful Bolingbrook Performing Arts Center in Bolingbrook. This year’s event attracted about 4500 people in attendance, 6 food vendors, 25 merchandise and service vendors and 10 non-for-profit organizations. It featured 12 hours of music and dance entertainment including super star Dingdong Dantes from the Philippines plus several other interactive activities and children’s games. With your support and participation, we hope to make next year an even bigger event. On behalf of the PACF Family, we extend our very best wishes for a Blessed Christmas and a Happy New Yearto all! Let us continue to promote and share our rich Filipino cultural heritage and traditions in America, so our children, grandkids and future generations will remain proud of their Filipino cultural identity and heritage as Filipino Americans. Your participation and support are always valuable and critical to the survival of PACF and its programs. 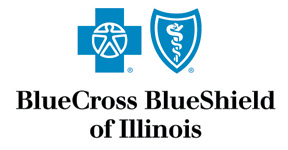 Your help in any capacity is greatly appreciated. To donate to PACF and to get more information on Piyesta Pinoy and all other PACF events and to join next year’s Piyesta Pinoy celebration, please visit the newly designed Philippine American Cultural Foundation website – http://pacfmidwest.org/.